Yes, our life energy must be a gift for our future. Your life, my life, everybody’s life must follow your given path. So pray or meditate. 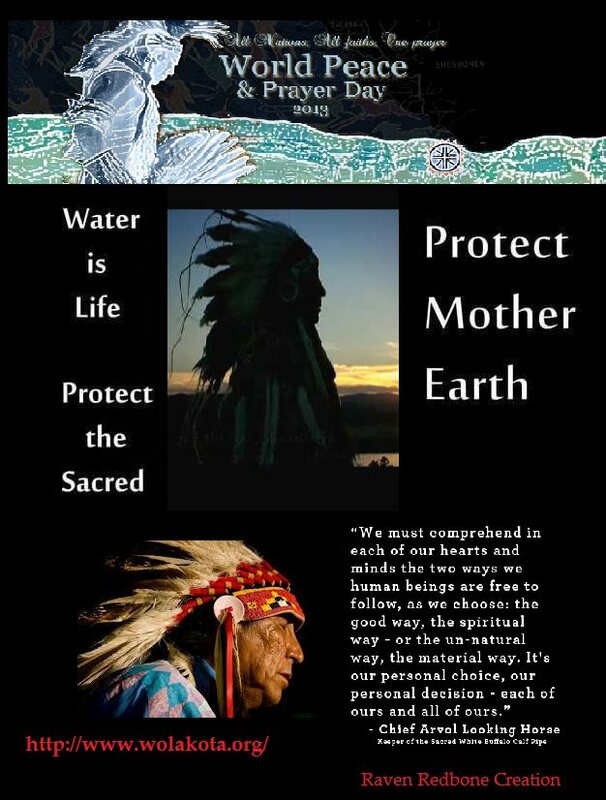 Follow your inner path and learn just how powerful you are and learn that you are a leader for your people, your family, your children, and the Mother Earth. This entry was posted in Raven views and tagged Chief Arvol Looking Horse, Connecting with Spirit, Honoring, Indigenous, World Peace and Prayer Day 2013. Bookmark the permalink.